Sister Joyce Marie Bates has started her 10th year of ministry with Holy Angels Parish as the Pastoral Associate. She is a Sister of Notre Dame from the Toledo Province of Mary Immaculate and has celebrated 45 years of vowed life. Her past 40 years of ministry has been mostly in the Diocese of Toledo including ministry in schools, at the Catholic Diocese of Toledo Center, in parishes and as director of an outreach program for women and children. Sister is also a trained spiritual director. 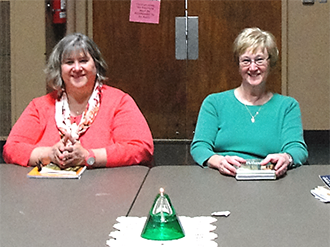 Lori Demres is the new bookkeeper at Holy Angels. 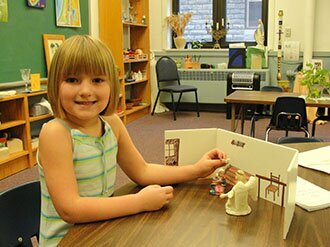 She and her family has attended Holy Angels most of their lives. She attended Holy Angels grade school and St. Mary’s High School. Most of her off time is spent volunteering and having fun with Harlequins Community Theatre. See you around the parish! 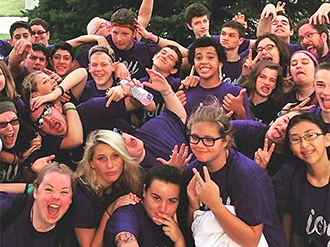 Kathy West believes with her whole heart in the Life Teen mission of “Leading Teens Closer to Christ.” As Executive Director, she is looking forward to watching as the Holy Spirit continues to move within the Sandusky Life Teen (SLT) program.